Dietary carbohydrate is the source of almost religious fervour. I respect the passion but it’s a complex topic and arguments between professionals don’t help people who are trying to decide how to eat well. So here are my thoughts on the carbohydrate conundrum. I hope you will be able to use them to evaluate your diet and make some changes where necessary to improve it. The right amount of carbohydrate for person A with a certain medical history is not necessarily the right amount for person B with a different medical history. Furthermore health professionals need to think carefully about the advice they give for the population as a whole. This post is advice for the population as whole. I will flag up specific medical conditions where dietary carbohydrate is relevant and tackle these separately in later posts. It’s important to consider the diet as a whole not just single nutrients. 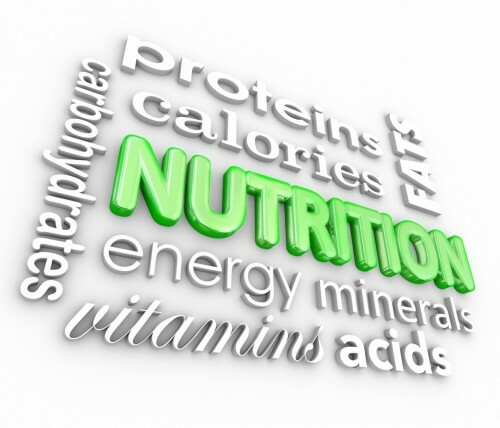 In this series I am looking at fat, protein, carbohydrate and micronutrients. This post focuses on carbs but there will be a summary post at the end of the series that will look at balancing your diet across all nutrients. For any dietary approach to have impact it has to be something that people can stick with and this varies from person to person. Dietary carbohydrate is not one thing. Simple sugars – these consist of just one or two sugar molecules and so they are known as short-chain carbohydrates. Starches – these are long chains made up of lots of sugar molecules, which get broken down to simple sugars inside the body. Fibre – this type of carbohydrate cannot be broken down by the body but bacteria in our digestive system can make use of some dietary fibre. There is increasing evidence that this is beneficial to health. There are two main types of dietary fibre, soluble and insoluble and we need both for health. Tend to be part of foods that are easy to eat in large quantities and so tend to cause weight gain. You can also check labels. Remember that most labels only tell you the total carbohydrates and carbohydrates as sugars rather than the amount of free sugar. Manufacturers can be quite shrewd about the words they use on labels. All of the words on the list below mean “free sugar.” It’s important to note that fruit juice counts as free sugar. It’s still a good source of vitamins and minerals and it counts as one of your 5 a day but only one. So what about the sugars that are naturally present in foods (intrinsic sugars); why are they ok? The molecules are the same as those in added sugar but it’s the other nutrients present that make the intrinsic sugar more acceptable. I don’t advise people to cut out fruits or even the most sugary fruits like figs and bananas. Neither do I ban sweet vegetables like carrots and beetroot or milk because it contains the sugar lactose. These foods contain lots of important nutrients. However we should not rely on just the sweet fruits and vegetables. It’s important to eat a really good mixture to get a great variety of nutrients. If I come across someone who is eating an unusually large amount of foods containing intrinsic sugar then I would advise them to cut back and introduce more of a variety of foods. Starches are found in foods like bread, potato, rice and pasta. Whether we eat simple sugars or starches the level of sugar in our blood will rise triggering the body to produce a hormone called insulin. This pulls sugar into cells where it can be used to make energy or stored for use later. As cells absorb blood sugar, levels in the bloodstream begin to fall. When this happens our bodies release another hormone called glucagon. This hormone tells the body to start releasing stored sugar. This all works fine if we don’t over-eat and if we exercise regularly. High fibre diets reduce our risk of heart disease, stroke, raised blood pressure, diabetes and bowel disease. Research shows that it’s important that we get both soluble and insoluble fibre. Insoluble fibre comes from wholegrain foods, vegetables, potato skins, nuts and seeds. This type of fibre helps waste pass more quickly through the gut, which keeps our bowels healthy and reduces our risk of serious bowel diseases such as cancer. Studies have shown that insoluble fibre and wholegrain cereals in particular also reduce our risk of heart disease and stroke. So unsweetened, wholegrain breakfast cereals, brown rice and wholemeal pasta would be good choices. The research studies showing benefits of wholegrains tended to look at cereal products so we don’t know as much about grains like quinoa and amaranth. However these are both highly nutritious grains and certainly worth including if you are a bit more adventurous. All these grains are high in carbs and so are usually excluded in most low carb diets. Soluble fibre comes from oats, rye, barley, buckwheat, fruits, root vegetables like carrots and potatoes, beans and pulses like kidney beans, chick peas and baked beans. Again these are all foods that also contain starch or simple sugars. This type of fibre helps soften our stools making them easier to pass, reducing our risk of bowel disease. Studies have shown that soluble fibre and oats in particular also help reduce blood pressure. Make sure you are avoiding the instant type of oats which often have lots of sugar added. I know from my practice that people struggle to reach the 30g/day target for fibre and those on a low carbohydrate diet find it even more difficult. It is possible, just not easy for the average person. We need healthy eating advice that’s practical and achievable for the majority of the population not just those who are very committed to a healthy lifestyle. This is the main reason why I am very careful with low carbohydrate diets. A short spell on a low carb diet for weight loss is fine but in the longterm it’s important to consider fibre and specifically to include some wholegrains. Evidence is growing which shows how numerous aspects of health are impacted by the by-products of the fermentation of dietary fibre by the bugs that live in our gut. These by-products include short-chain fatty acids (SCFA) which make the colon more acidic preventing the growth of some harmful bacteria. Furthermore SCFA bind to receptors in tissues all over the body including immune cells and fat cells. Consequently there may be wider beneficial metabolic effects in relation to things like reducing insulin resistance, preventing weight gain and improving immune function. Much more research is needed to find out how much and what type of change in microbial populations is needed to bring about improvements in health. However it is a really exciting area and one to watch. Sometimes the liver is already full of stored sugar (glycogen) because we have routinely been eating too many calories and not exercising. If we then eat more sugar or starchy foods then the liver is forced to turn the excess sugar from digestion of these foods into fat. This can lead to something called non-alcoholic fatty liver disease which can eventually cause liver failure if it is not detected and treated by switching to a healthy lifestyle. Sometimes our bodies stop responding to insulin in the normal way. This is known as insulin resistance and it results in the body producing more and more insulin in a bid to bring the blood sugar levels down. This leads to high insulin levels in the blood or “hyperinsulinaemia”. People with hyperinsulinaemia often experience extreme and frequent hunger, weight gain, sugar cravings, difficulty concentrating and fatigue. It can lead to obesity, heart disease, diabetes and high blood pressure. Being overweight – People who carry excess fat tissue release more free fatty acids into the blood. When the products of fat metabolism accumulate in muscle they can block the signalling pathways needed for insulin to work. We also know that people with a lot of internal fat around the organs release lots of free fatty acids into the blood along with inflammatory hormones. These can further drive insulin resistance. A high fat diet – If we eat a lot of fat then again free fatty acid levels rise and block the normal activity of insulin. A high intake of fructose from free/added sugars – Fructose is metabolised by the liver into fat. Therefore, it may contribute to insulin resistance through the same mechanisms as dietary fat. Changes in our gut microbiota (the mix of bugs that live in our guts). High fat, high sugar, low fibre diets seem to be detrimental to a healthy gut microbiota. Low fat, low sugar, high fibre diets seem to be beneficial. Again much more research is needed. If you are insulin resistant it can eventually lead to diabetes or metabolic syndrome. Metabolic syndrome is the medical term for a combination of diabetes, high blood pressure and obesity. It puts you at greater risk of heart disease, stroke and other conditions affecting the blood vessels. Metabolic Syndrome is very common in women with polycystic ovary syndrome which is also often associated with significant insulin resistance. A low carb diet can be helpful for people with insulin resistance, diabetes, metabolic syndrome, and PCOS but I will explain more about this in a later post. Can cutting carbs be useful for weight loss? If you cut out fortified cereals, beans and peas you are removing major sources of folic acid. This vitamin is essential for healthy red blood cells and for preventing central nervous system defects such as spina bifida in babies as they develop in the womb. Folic acid is also crucial for controlling levels of homocysteine, which is linked to cardiovascular problems. Broccoli, Brussels sprouts, spinach and asparagus are also good sources so it is possible to get enough on a low carb diet. However it is more difficult and so it’s important to be aware. Anyone planning a pregnancy should take folic acid supplements anyway. It is very hard to reach the recommended levels of fibre in the diet on a very low carbohydrate diet and we know that wholegrains which are high in fibre and starch are beneficial to health. Wholegrains are also a major source of magnesium, which is essential for healthy bones, teeth, nerves, muscle and for good immune function. Magnesium is also required for 100s of different enzyme reactions. Low magnesium intake and low blood levels of magnesium have been linked with insulin resistance, high blood pressure, type 2 diabetes, metabolic syndrome, heart disease and osteoporosis. Nuts and green leafy vegetables are also good and healthy sources of magnesium. However they are not nearly as high in magnesium as wholegrains. Potatoes and fruit are important sources of vitamin C. So if you are following a low carb diet that restricts these foods significantly you may find that you are not getting enough.You need vitamin C for the growth and repair of tissues in all parts of your body. It helps the body make collagen. This is an important protein used to make skin, cartilage, tendons, ligaments, and blood vessels. Vitamin C also helps us absorb iron from vegetable sources and acts as an antioxidant so reducing the DNA damage caused by free radicals. Research shows that antioxidants from supplements are not beneficial in the same way as they are when they are taken as food in the diet. Indeed antioxidant supplements can sometimes increase the risk of disease so simply taking supplements is not the answer. When your body breaks down stored fat, ketones build up in the body which can cause nausea, headache, mental and physical fatigue, and bad breath. If you are simply using a low carb diet to lose weight because it’s an approach you can stick with then you don’t need to worry too much about the above. This is because you will only be on the low carb diet for a short while. However if you have a lot of weight to lose and you need to stick with the approach for longer get some advice from your dietitian. This will help ensure that your diet provides all these important nutrients. There are lots of other ways to lose weight and what the research really tells us is that people need to find a safe approach that they can stick with for long enough to reach their goals. Make an appointment with a dietitian and discuss your lifestyle, food likes and dislikes and anything that has or has not worked for you in the past. Your dietitian will help you find an approach that works for you as an individual. The most important thing is to try to get to a healthy weight whatever approach you choose to take. Is a low carb diet helpful for everyone? Make a huge effort to get your intake of added sugars down as low as possible. You don’t actually need them at all from a nutritional point of view. Start by aiming for the 6tsp/day target but see how low you can go. There is a lot of nutritional benefit to be had from including the high fibre varieties of starchy foods just make sure they don’t come with added sugars. Foods containing intrinsic sugars provide a lot of valuable nutrients and are useful as part of a balanced diet. However if you have a sweet tooth you may find that you are relying a lot on the sweetest fruits and veg. If this is a problem for you try to increase the variety in your diet. The aim of healthy eating is to get all the nutrients your body needs, maintain your weight in the healthy range and even to avoid significant weight gain within that range. Research has shown increased risk of heart disease, stroke, cancer and diabetes in people who had a healthy weight in their early twenties but gained more than about 5kg during their adult years. This was the case even if they stayed in the healthy range. You can easily maintain a healthy weight without the need for any extreme diets or fads. Just try to become more aware without becoming obsessed. As I always say it’s important to enjoy food and enjoy life. This entry was posted in Balanced diet, Carbohydrates and tagged insulin resistance, low carbohydrate, weight loss by Stephanie.fade. Bookmark the permalink.